Tell Congress to Fund Education Leadership! This spring, Congress will be making critical decisions about President Trump’s budget request to cut education spending by 13%. The School Leader Recruitment and Support Program (SLRSP), the only federal program that specifically focuses on strengthening leadership in our high-need schools, is at risk. With the emphasis on increasing student achievement, turning around failing schools, and producing college and career-ready graduates, successful school leaders are especially important. 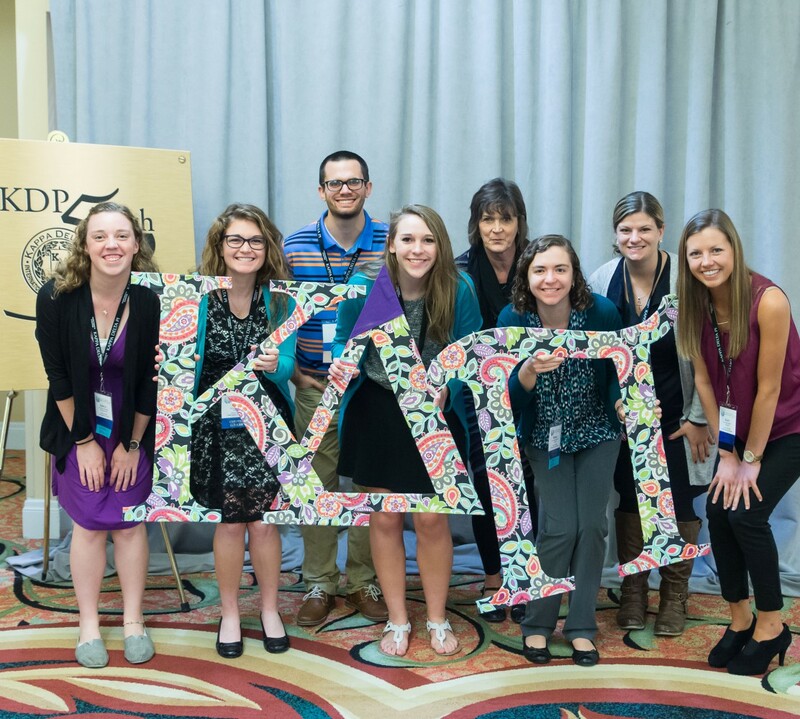 Education leadership and leadership development, including teacher leaders and building/district leaders, have been part of Kappa Delta Pi for more than 105 years. While teacher leadership plays a critical role in improving student learning outcomes and enhancing the professional growth of teachers, schools also must have quality principal leadership. According to the National Association of Secondary School Principals, principal leadership is second only to classroom instruction among all school-related factors that contribute to what students learn at school. Even more significant is the finding that quality principal leadership is particularly important to high-poverty schools. The issue of quality school leadership connects with KDP’s mission in other critical ways too. KDP has a rich legacy of working to support and retain thousands of talented new teachers who enter classrooms every year, especially those teaching in high-poverty urban and rural schools. Any teacher retention effort must include effective school leaders, because leadership is among the most important factors in a teacher’s decision to stay in a school or in the profession. Studies have shown that improvements in school leadership were strongly related to reductions in teacher turnover. While teacher attrition has always had negative consequences on student academic achievement, school finances, and school culture, it is particularly problematic given the increasing teacher shortages across the country. As part of an organization committed to equity and quality education for ALL students, we must advocate for adequate education funding, including the School Leadership Recruitment and Support Program for high-needs schools. To that end, KDP, together with 29 other organizations, signed onto a joint letter. As professionals, we can use our voices to educate members of Congress about the importance of education funding overall as well as for critical programs such as SLRSP. You, too, can sign the letter by following the link above. We must remember: Teachers change the future!